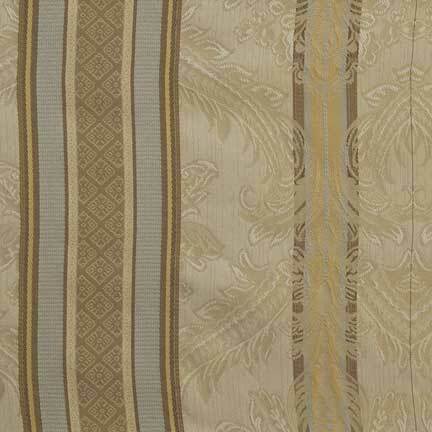 This runner is a wonderful combination of stripes and damask in various browns, gold, and a dusty blue color. Measures 14" x 108". We also carry a matching napkin.